Add architectural detail to your walls with Ornamental Mouldings BG893OBCWHW baseboard moulding connectors. They install at the outside corner where baseboard moulding joins, providing decoration while eliminating the time consuming task of miter cuts to the moulding. 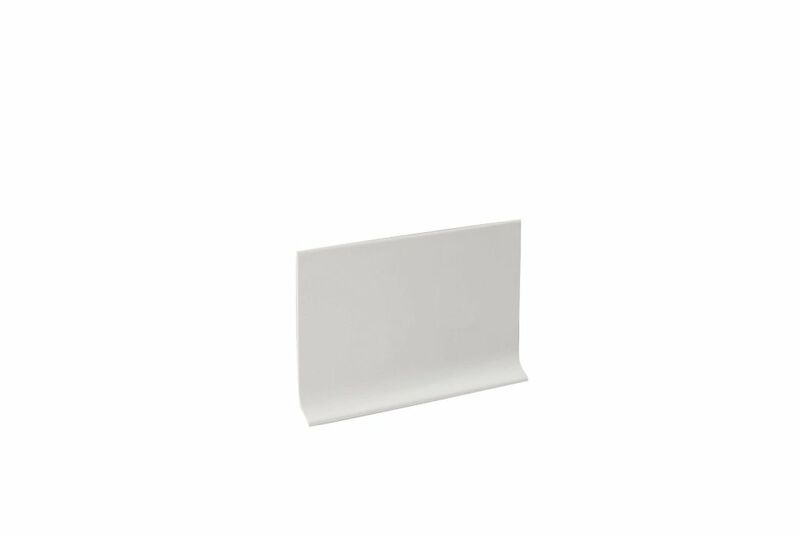 4 Inch x 20 Feet Vinyl Wall Base Self Stick - White High quality cove base manufactured using 100% virgin materials. Advanced co-extrusion technology allows for tough scuff-resistant surfaces while maintaining overall flexibility and ease of installation. Cove base installation for a clean, fresh look.